I have a handful of orders for house portraits to complete at the moment, so not so much lampshade making going on at gilhoolie (still a few though, don’t worry). It’s a good job I love drawing. 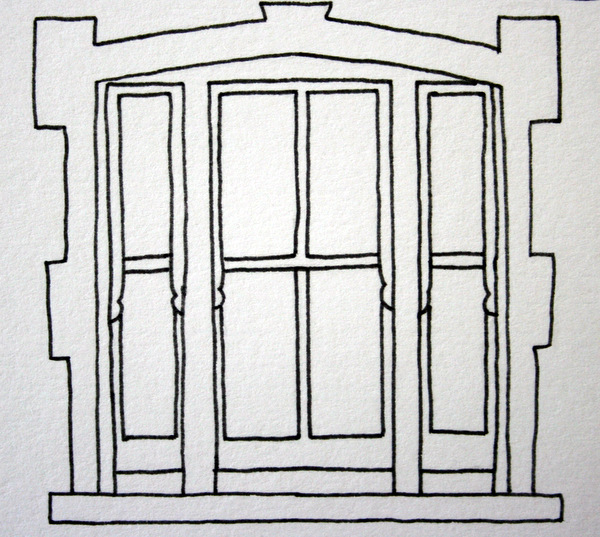 Yesterday I was listening to the radio (it has to be BBC Radio 6 Music during the day; I love the live music, interviews and friendly banter) while drawing a picture of a lovely Victorian house with beautiful sash windows. 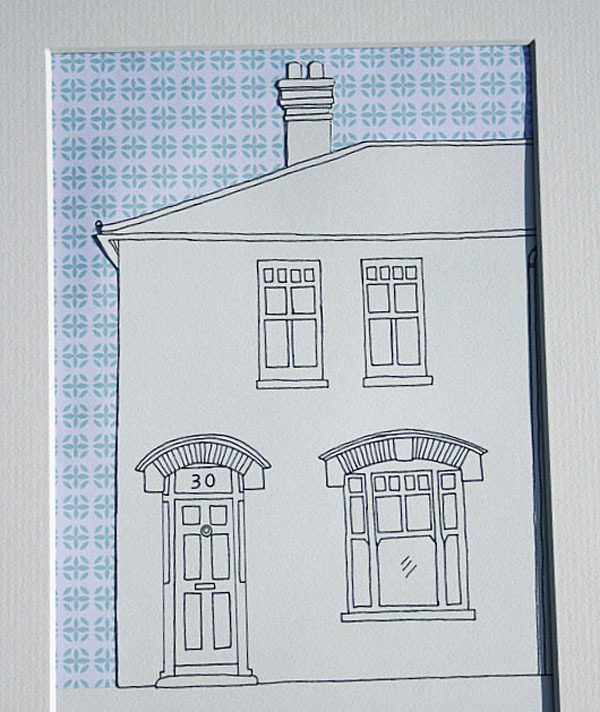 I thought it would be good to write about the house portraits on here; including the process, the options available and what to do if you’d like to order one yourself. brickwork, chimneys etc, the more the better. Both options can be made in different colours if you prefer, just let me know when you order. 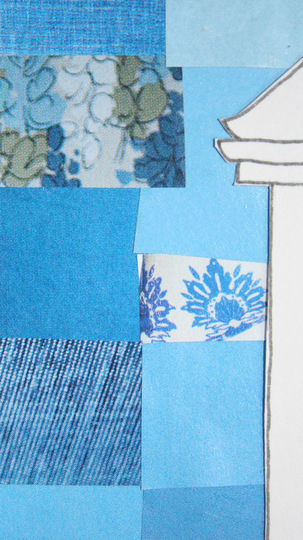 The collage sky is made from magazine cuttings; I knew those magazine subscriptions would come in handy one day! 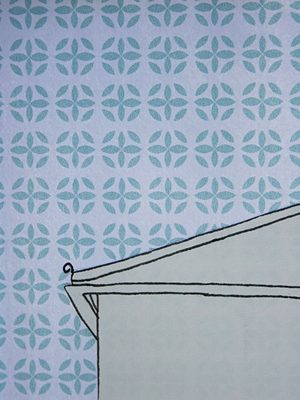 The gilhoolie pattern is a retro design I came up with a while ago, when I first started gilhoolie. They both go well with any style of house, it’s up to you. I also add a message at the bottom of the picture; usually along the lines of “The Gardner Family, 1 gilhoolie Road, Maidenhead) 🙂 but it can be whatever you choose. Some of the house pictures are Christmas orders so I don’t feel comfortable posting them on here, just in case – you’ll have to wait a few months to see the finished artwork I’m afraid! I love these pictures – hope to commission one at some point, just got to choose the lucky recipient!